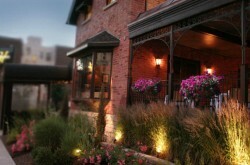 April is National Poetry Month – and Buffalo is a perfect city to celebrate in. We have a long history of poetic greatness, from being the birthplace of the multiple-award-winning poet Lucille Clifton to housing one of the most renowned collections of modern & contemporary anglophone poetry in the world, the SUNY Buffalo Poetry & Rare Books Collection. We also lay claim to a vibrant contemporary scene of poets young & old writing in a variety of styles. So celebrate some of our local talent this month at one of these events! All events are free unless otherwise noted (but make sure to bring some cash along to purchase books!). 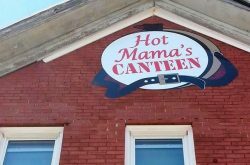 This reading, housed in a classic Allentown institution, features poets Sean Thomas Dougherty, Joe Hall, and Rachelle Toarmino, and is sure to be a riot. While Hall and Toarmino hail from Buffalo, Dougherty is an NYC-bred poet who has been described by Publisher’s Weekly as “a blue-collar, Rust Belt romantic to his generous, enthusiastic core.” And if you’ve never heard local poet and editor Toarmino read before, you are in for a treat. 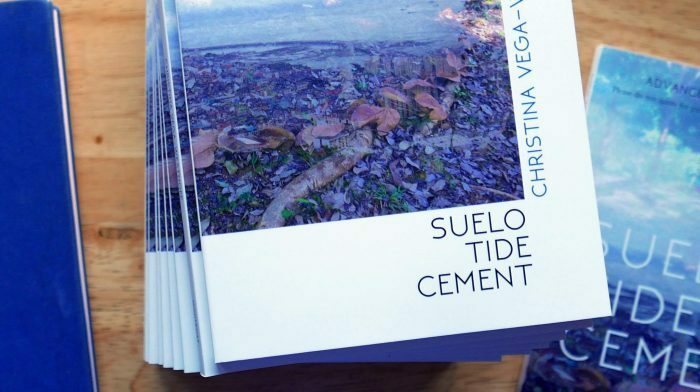 She’ll be reading from her short collection GRAPHIC (Ghost City Press, 2017), which is a culturally self-aware, satiric, and hilarious engagement with paparazzi culture. The evening will also include music by the multi-instrumentalist Hussalonia. 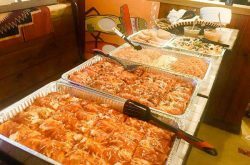 Grindhaus Cafe, 160 Allen St.
Second Stage Writers describes itself as “an organization with the goal of welcoming all of Buffalo’s poets,” and we cannot recommend their reading series enough. Held in the super-quaint Grindhaus Cafe, the reading this month features Skyler Jaye Rutkowski, Celeste Lawson, and David Delaney. Rutkowski is a local poet you’ll want to keep your eyes on. She has been sparking up the slam and spoken word communities with her fierce and heartfelt poems, like “LGBARTWORK,” which is about the beauty of love of all colors, shapes, and forms. Grab a latte and prepare to be electrified. Fam, do not miss this reading. 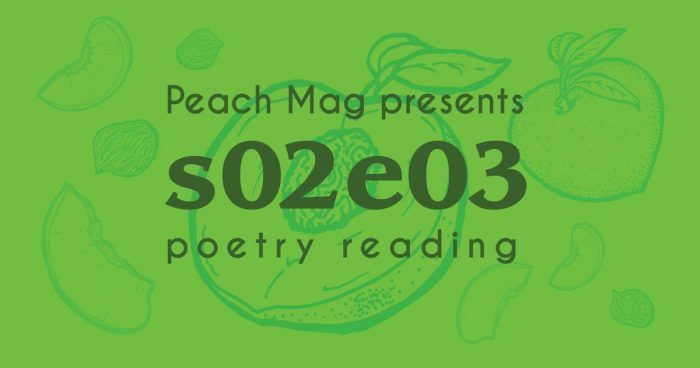 The locally-based online literary magazine, Peach Mag, has been bringing together local and national writers in their Episodes reading series for almost two years now, and it seems like each reading is magically even better than the last. This Episode features local gems Eve Williams, Dan McKeon, and Olivea Wiggins, as well as visiting poets Jamie Mortara (Portland) and Jakob Maier (Syracuse). Williams, in particular, is a force of a poet who you should definitely know. She uploads many of her spoken-word poems to her Facebook page, Unfiltered, several of which have gone viral and garnered national attention. We’ll see you at this one. Rust Belt Books, 415 Grant St. The Inner Ear Reading Series, hosted by local poet Stephen Baraban, is one of the most intimate reading series in the city. Housed in the cozy, cosmic back-room at Rust Belt Books, this reading features local poets Ed Taylor and Celia White. Baraban opens every reading with thoughtful introductions of both poets’ work, so even if you’ve never read them before you’ll get an immediate sense of who they are and what they write. 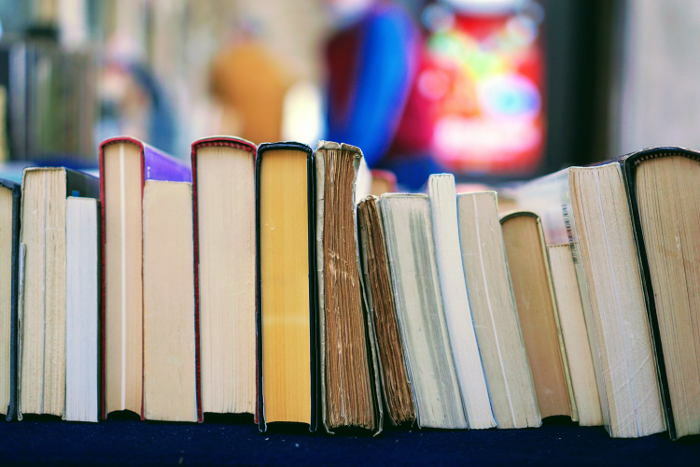 Plus, spend some time before or after the reading browsing the stacks at Rust Belt, where you’re guaranteed to find a well-priced treasure. A modest $3 entry fee covers the cost of renting the space and puts some money directly into the poets’ pockets. The Bird’s Nest Circus Arts, 64 Fillmore Ave.
Dog Ears Bookstore & Cafe, 688 Abbott Rd. Local poet Fred Whitehead has been running the Fourth Friday series at Dog Ears Bookstore & Cafe for a number of years now. If you’ve never been to either the series or Dog Ears – what are you waiting for? Dog Ears is a little oasis of amazing books, cafe fare, and ambiance right in the heart of South Buffalo. 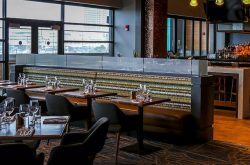 Add to that Whitehead’s reading series in the colorful, welcoming second-floor space, and you’ve got yourself a match made in Buffalove. Plus, what better way to celebrate National Poetry Month than by trying out your own work at this open mic? 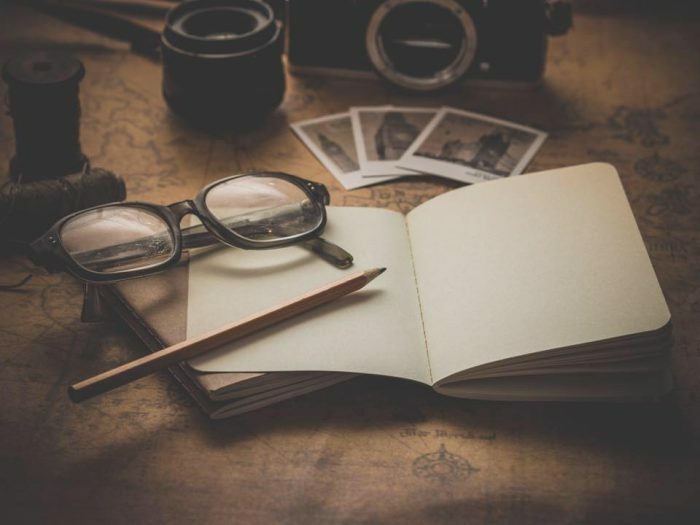 Don’t be shy – poets of all ages, styles, and experience are welcome to share! A $3 donation supports this long-standing series and includes pizza. The Gypsy Parlor, 376 Grant St.
Wrap up your National Poetry Month right at the Pure Ink Poetry Slamtastic Supreme Slam (say that one five times fast!). 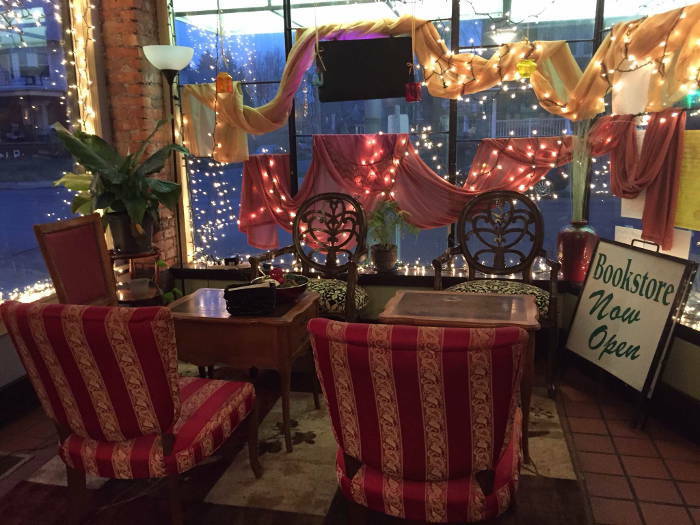 Pure Ink is Buffalo’s only monthly running poetry slam, meaning that every month they open up the stage at The Gypsy Parlor for spoken word poets to bare their souls, spit their fire, and wow the audience. 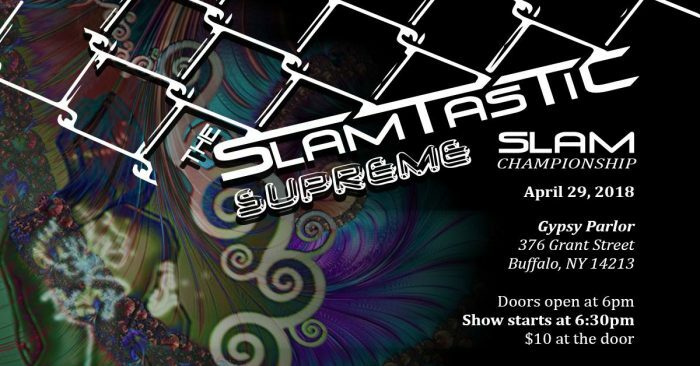 The coolest thing about the Slamtastic Supreme Slam is that the winner – who is determined by audience judges – will get to represent Buffalo to an international audience at the Individual World Poetry Slam later this year. A $10 entrance fee keeps Pure Ink running and gets Buffalo poets in front of international audiences. We’d say that’s a pretty good deal.